Stephen Tying Mather – Born July 4, 1867 to a middle-class family, a descendant of early Puritan minister, Cotton Mather. Cotton had decided to relocate to Darien, Connecticut because of his role during the Salem Persecutions of innocents to extract their property, in every form possible made his future in Massachusetts awkward. In 1711 Salem had the distinction of being forced to pay reparations to the families of the victims. Stephen Mather’s family continued in the profession of the church. The Darien Mathers are descendants of Timothy Mather, the brother of Increase Mather, who was the father of Cotton Mather. In Darien, Connecticut, the family continued in the elite profession of the Church but was otherwise undistinguished. Stephen Mather’s father, Joseph W. Mather, was dependent on the income from his job though a deluge of income came in from his holdings in opium. Mather’s only job before his father found him employment where he worked as Administrator, with Pacific Coast Borax in New York was as a reporter at the New York Sun. 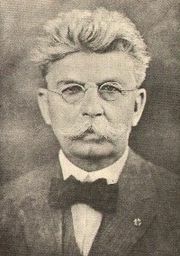 Mather worked there from the time he graduated from UC Berkeley in 1887 with a Bachelor of Letters Degree until Joseph Mather arranged for him to be hired by his boss, Francis Marion Smith. This paternal intervention took place because Mather wanted to marry a wealthy woman whose family did not approve of their daughter marrying a reporter. Mather was married in 1893, taking the job his father found for him. In 1893 Mather’s father, Joseph W. Mather, was working as the administrator for Pacific Coast Borax's operation in New York City, which was owned by Francis Marion Smith, aka the "Borax King" or "Borax Smith", the world's largest borax mining operation of the day. Borax was a cleanser which was affordable, then used by everyone. There was fierce competition to gain market share in the mining and marketing of borax because it was highly profitable. Joseph had been with the company for five years. The job paid well. “Borax” Smith might have been an exacting employer but the industry in which he had made his wealth was highly competitive. Francis Marion Smith was Stephen T. Mather’s first victim. Staking his first claim, Smith started a company with his brother Julius, and established a borax works to concentrate the borax crystals and purify them. That year, 1877, the Smith Brothers are shipping their product, using mule teams from Marietta to Wadsworth, Nevada to reach the Southern Pacific RR. By 1883, Smith's Pacific Coast Borax Company was established and aggressively promoted their brand and the trademark, which used a silhouette of a Twenty Mule Team that Coleman had used, from 1883 to 1889, to transport borax out of Death Valley to the closest railroad in Mojave, California. Adding the phrase, “Twenty Mule Team Borax” was an idea contributed by Smith's Advertising Manager, Stephen Mather, who would later claim credit for the entire idea. In 1884, Smith bought out his brother. Francis Smith reduced operations continued at Teels Marsh, and re-focused his energies and borax mining in Death Valley, California and at the 20 Mule Team Canyon mine in the Amargosa Range to the east. It was Mather’s father, Joseph Mather, who obtained the job for Stephen Mather as the Advertising Manager for Pacific Coast Borax. Later that same year, Stephen Mather married a Miss Floy, whose family had objected to his previous job at The New York Sun. In 1894, on the job for about a year, Stephen Mather was working in Chicago, and met another employee who had been working at Pacific Borax Company four years longer than himself. Thomas Thorkildsen was 23, two years younger than Mather, then 25 years old, and was a Sales Manager. At first, the two men experienced friction because Mather’s presence forced Thorkildsen into a less prominent role in the company. Mather was college-educated, Thorkildsen was not. Both were very ambitious, however. The initial tension between the two, arising from Thorkildsen’s failure to persuade Smith to appoint himself and Mather co-managers, gave way to a common purpose for optimizing what they could get, by honest labor or, more rapidly, by dishonest means. Neither of the men were limited by considerations of ethics. Later, they would justify having cheated their employer, by hypocritically criticizing his business practices. The incident cited was letting a worker go who Smith deemed unnecessary, and later hiring her back when she could not find employment elsewhere for a lower salary. Mather would make much of Smith’s failure to give him extra compensation for the marketing campaign he devised, which utilized the slogan, “Twenty Mule Team Borax.” Mather complained that Smith, then dominating his industry, did not see a need for advertising campaigns. But since Mather was being paid very well, this was a petulant and irrational childish response to conditions he was free to change. At any time, either or both men could have resigned. Not getting what you want does not excuse theft. Along with justifying their thieving they would characterize Smith’s company as a ‘monopoly’, implying Smith was using unethical practices, which he was not. He had earned his wealth, dominating the industry by hard work, providing his clients with good prices and reliable service. However, Mather would use the monopoly model immediately when he started his campaign to organize the existing National Parks into an independent agency, known as the National Park Service(NPS). Monopolies give those in control autonomy which they can wield for their own ends. When these are used by government they put the force of government outside the limitations normal to business. The monopoly model, and autonomy, are still in use within the NPS today. It was Thorkildsen who first introduced the idea of skimming profits. In an article written by Edward Keebler, appearing in the Santa Clarita Valley History site, published in December, 2010, titled, “An 'Odd Couple' and Twenty Mules: The Fortune of the Sterling Borax Company in California's Santa Clarita Valley,” the author tried to make the case the intelligence and ‘visionary’ attributes displayed by Mather and Thorkildsen justify the frauds planned and carried out against their employer, Smith, failing to do so. The partner’s mine was in the Santa Clarita Valley. The local connection and the later deification of Mather can make it difficult to see individuals for what they really are. This is a common human failing, which remains with us. ​"This is my best scheme I know of up to date." At a time when a good annual salary was $1,500, this was a fortune. There is no indication as to whether or not Mather ever acted on any of Thorkildsen's "fancy dreams" as he put it, but it did not discourage Thorkildsen from enlisting Mather's support. Near the same time Thorkildsen wrote to Mather stating, "Why should you handicap yourself when you are being treated so shamefully by Mr. Smith? Mr. Smith does not care how he treats you or how he fulfils his promises to you. It is all self with him. It is now time to turn the tables." Stephen Mather remained as an employee of Pacific Coast Borax, seemingly working for Smith. 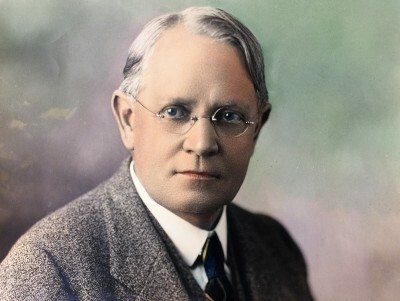 But in fact, Mather was covertly acting as President of the company started by his friend, Thorkildsen-Mather Borax Company, incorporated in 1898, the same year Thorkildsen stormed out of Pacific Borax Company. Later, the two would rename their company Sterling Borax Company, likely realizing this might prove uncomfortable for them. Thorkildsen relocated to California looking for a source for borax. He used his $17,000 in savings from his work at Pacific Borax Company and similar funds from Mather. Today, this would mean each of them invested in the company an amount which today would be $427,560.30. Neither Mather or Thorkildsen had any appreciable savings before going to work for Smith and it is likely Mather’s father, who appears to have been aware of the fraud, also invested in the fraud from his own salary or including funds he was then receiving from the sale of opium, in which he was invested. Still at the headquarters for Pacific Coast Borax, Mather was obtaining the names of Smith’s clients, so they could be contacted and persuaded to change over to the business being set up by Thorkildsen in California. It is fortunate for Mather that Smith continued to be perplexed. Clearly, it had not entered Smith’s mind that the polite and friendly Mather, hired through the recommendation of Mather’s father, Joseph, who also worked for him, was colluding with Thorkildsen. In the letter, Smith asks of Mather, "I wish you would put your wits to work in this direction and see if you cannot give us some information, either definite or otherwise, on these lines." Three years later, in 1903, Smith is continuing to question Mather with ever more insistence he discover how the flood of losses is takeing place. Mather has a nervous breakdown in Chicago. While Mather was incapacitated, Smith stopped paying him, a practice still common today. This proved to be the only thing which finally rid Smith, still deluded, of the traitor in his own company. In 1904, Mather left Chicago to join Thorkildsen at the Frazier Mountain mine where Thorkildsen had been busy ensuring the flow of borax continued. The two men, Mather and Thorkildsen, sold their new company to their old employer, Francis Marion Smith in 1911 without any qualms about any monopoly. By this time Smith is struggling with insolvency. Mather, with his partner, Thomas Thorkildsen, had made the equivalent today of $500,000,000 through this underhanded enterprise. Apparently, Smith remained unaware that his losses were caused by his two former employees and did not examine the letters in the archive, which were later discovered by his heirs, who donated them to the National Park Service. While Mather and Thorkildsen were running the company, their business practices had continued to tend toward criminal. According to an article, "Borax King' Cleaned Up, but Died Washed Up," published in the Los Angeles Times, March 12, 2000, written a century later by Cecilia Rasmussen, the mine the partners sought was purchased by Thorkildsen. But then control of the resource was threatened. Below is a quote from the article. "But before he (Thorkildsen) could set up his company mining town, another businessman staked out several claims along the vein and then proposed a partnership. Incensed, Thorkildsen drew a pistol, forced his prospective competitor to pull his stakes out of the ground and warned him never to return." Thomas Thorkildsen remained an associate and close friend of Mather after they sold to Smith. Located in Los Angeles, Thorkildsen lived a life so profligate he managed to die impoverished. The article goes on to outline this in some detail on the second and third pages. Both men had become accustomed to the life styles, new for them, of the elite. Mather, through his connections forged by careful manipulation of those unaware of his history and character, moved himself into a position from which he could further enrich himself through the network of elites he had been forging since his college days at UC Berkeley. Equating the possession of wealth with virtue, placed Mather in position to further enrich himself using the credulity of a new graduate from UC Berkeley.